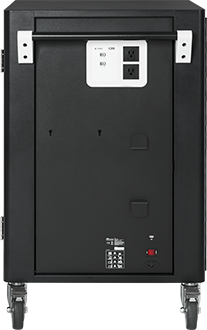 C20i's new cable management technology and intelligent charging creates more time for teaching and less anxiety over managing devices. It's customizable, compact, and ready to charge! 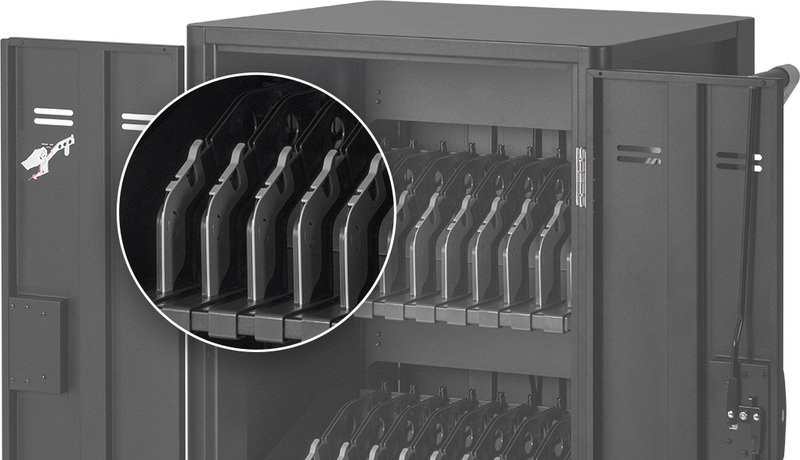 Charge up to 20 Chromebooks, laptops, or tablets up to a 16" screen. C20i can power just about any device. 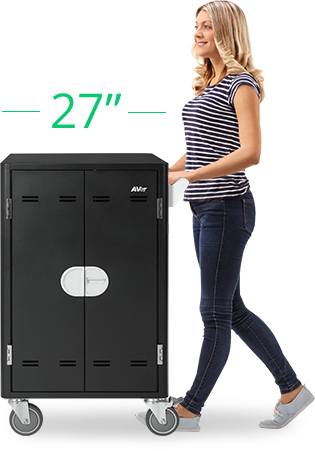 C20i's small footprint provides easy storage for any classroom size. At only 27" wide, the C20i footprint leaves more learning space while managing your 1-to-1 devices. C20i's intelligent charging determines the best charge without any programming required. 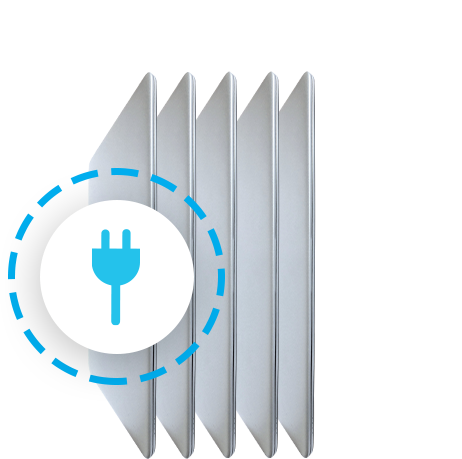 Devices are efficiently charged and protected from any circuit overload. 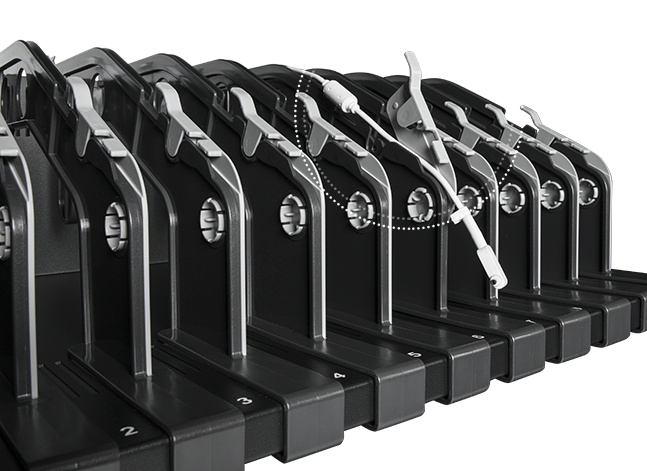 Customizable dividers make placing and pulling devices easy, comfortable, and safe. 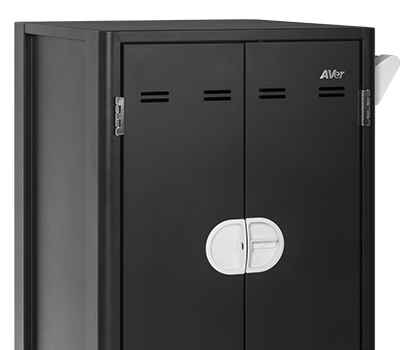 C20i allows flexible storage for classrooms managing large or mixed devices. Experience simple device management with less slip-n-slide using C20i's new and cutting-edge cable technology to secure cords from slipping out of place. 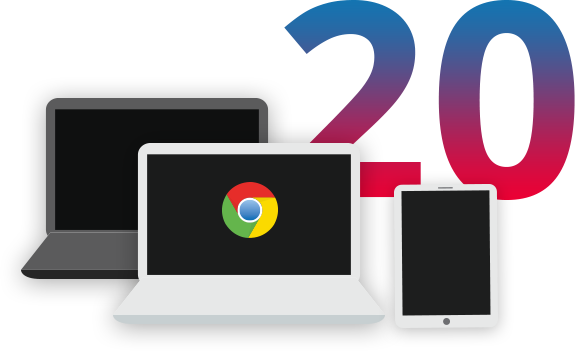 Support DeviceLaptop/Chromebook/Tablets up to 16"